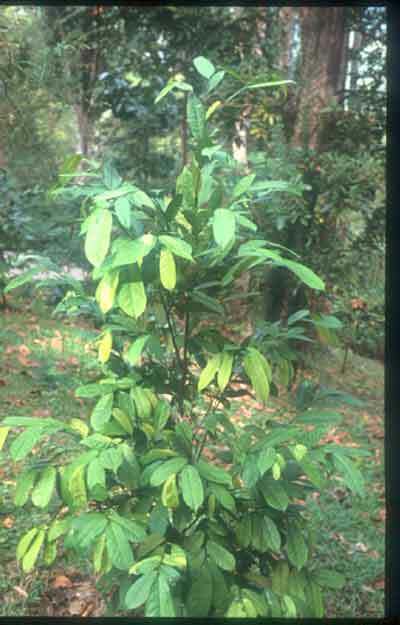 Shrub or small tree, 2-4 m high. 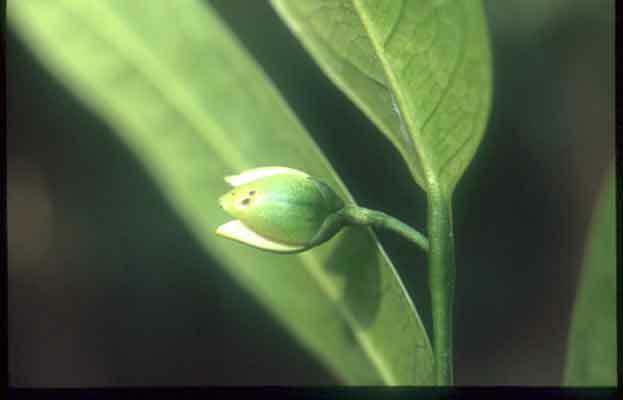 Leaves simple, elliptic-oblong, coraceous, 10-19 cm long by 4.5-7.5 cm wide, glabrous; apex acute, margin entire. Inflorescence solitary, emerges opposite the leaves. Flowers creamy white, greenish outside, fragrant, ca 1.5 cm across; calyx 3, ovate; corolla 6, arrange in 2 whorled; petals thickened; stamens many, densely around the ovary. 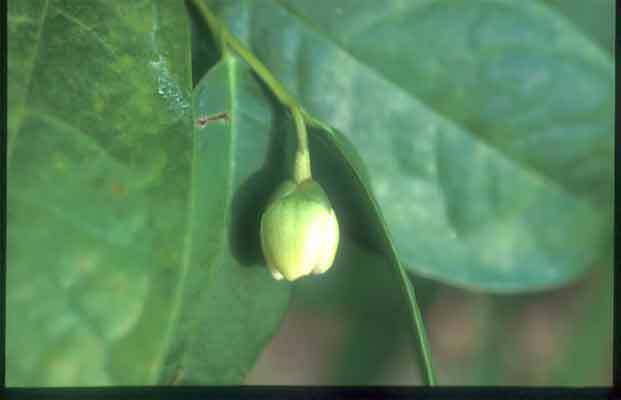 Fruit aggregate, obovoid tapering to the base, ca 2-5 cm long. Seeds black. Malaysia, Indonesia and The Philippines. In Thailand, a rare species, found in the southern region in moist evergreen forests. Flowering all year round.